Working to ensure that UofL remains a diverse and affordable university where people from all walks of life have the opportunity to thrive. The Office of Diversity at the University of Louisville strives to foster and sustain an environment of inclusiveness that empowers us all to achieve our highest potential without fear of prejudice or bias. We commit ourselves to building an exemplary educational community that offers a nurturing and challenging intellectual climate, a respect for the spectrum of human diversity, and a genuine understanding of the many differences – including race, ethnicity, gender, gender identity and expression, sexual orientation, age, socioeconomic status, disability, religion, national origin, or military status and diversity of thought that enrich a vibrant metropolitan research university. Mordean Taylor-Archer, PhD is the University of Louisville Vice Provost for Diversity and International Affairs. She is responsible for providing leadership and working collaboratively with administrators, faculty, staff and students to advance diversity on campus. Offices under her administrative purview are the Cultural Center, Women’s Center, International Center, Muhammad Ali Institute for Peace and Justice and the Office of LGBT Services. Dr. Taylor-Archer serves on various committees including the Commission on Diversity and Racial Equality, the Commission on the Status of Women, the University Community Partnership Board, Great Places to Work Executive Committee and African American Alumni Council, and chairs CODRE’s Campus Environment Team and the International Affairs Advisory Committee. She is the institutional representative for the Kentucky Council on Postsecondary Education (CPE) Committee on Equal Opportunities(CEO) and the Association of Public and Land-grant Universities (APLU) Commission on Access, Diversity and Excellence (CADE). The Office for Diversity employs an Assistant to the Vice Provost and a Program Coordinator in addition to the employees in those offices reporting to the Vice Provost. In October 2017, UofL released a new 2017-2021 Diversity, Equity and Inclusion Plan for the University of Louisville with a focus primarily on three groups: (1) African American (includes two or more races of which one is African American), (2) Hispanic/Latino, and (3) low-income. Services to other diverse groups, however, are also included in the narrative. The three components of the plan are Opportunity, Success and Impact. The plan gives details of the strategies, actions and tactics that are designed to enhance student enrollment and success. These strategies and tactics will be assessed in terms of their impact. Diversity goals include metrics and goals for student enrollment, retention and graduation. The impact section includes metrics and goals for increasing the number of diverse faculty and staff. Equal attention is given to the strategies and best practices that are used to support faculty through the tenure and promotion process as well as professional development and promotional opportunities for staff. It also delineates the structures that are in place to enhance cultural competency for students, faculty and staff and the tools that are used to monitor and improve the campus climate. Finally, it includes an assessment plan for each strategy. The conclusion summarizes the plan and identifies barriers and what is being done to minimize them. The diversity planning process is robust and ongoing. Each college/school/unit has a diversity committee appointed by the dean/vice president and is charged with planning for diversity programs and services. The chairs of the unit diversity committees, comprised of students, faculty and staff, and the Campus Environment Team, which includes the chairs of the Faculty and Staff Senates, have been involved in the planning process for developing goals and strategies for the diversity plan. Additionally, the Executive Vice President of the Student Government Association (SGA) and the President of the Association of Black Students (ABS) have been involved in the development of the plan, providing input from their constituents. The plan has also gone through a vetting process to get input from the Council of Academic Officers, the President’s Executive Leadership Team, the Faculty and Staff Senates, the Student Government Association, the Commission on Diversity and Racial Equality, and the Commission on the Status of Women. The president and provost will presented the plan to the Board of Trustees for approval at their fall 2017 meeting. Find the full plan here. October 2016 Progress Report: Major changes have taken place at the university since this report was initially completed. A delay in some actions, however, does not lessen the importance and commitment to following through on the recommendations. After the Campus Conversation in November 2015, the university president appointed a Diversity Steering Committee, prior to the holiday break in December, comprised of members based on the university’s governance structure. These included representatives from the Faculty, Staff and Student Senates; representatives from the Council of Academic Officers; representatives from the Commission on Diversity and Racial Equality (CODRE) and the Commission on the Status of Women (COSW); representatives from the Employee Resource Groups (Black Faculty/Staff Association, Faculty and Staff for Human Rights and the Hispanic/Latino Faculty and Staff Association); and representatives from the Student Assembly Against Discrimination (S.A.A.D.). The charge for the Steering Committee was to review the recommendations from H/LFSA, S.A.A.D. and CODRE and prioritize with a plan for implementation. Members were divided into four workgroups: Workforce Diversity; Student Recruitment and Retention; Climate/ Diversity Training; and Accountability. The workgroups reported on the priorities of the recommendations that included increasing the number of faculty of color; scholarships for Hispanic/Latino students; an Identity Center to house diversity units; removal of the Confederate Statue; diversity training for all students, faculty, staff and administrators and implementing accountability measures for deans and administrators. We are pleased to report that we have completed some of the recommendations and we are making progress on others. On April 29, 2016 the university president announced with Mayor Greg Fischer that the Confederate statue will be removed from campus. The City Commission on Public Arts is reviewing various locations for a new site. The city is ready to move and it is anticipated that the statue will before the end of the fall semester. Support Staff Positions - Two new Program Coordinator positions have filled in the Culture Center: one for Hispanic/Latino initiatives (Nora Diaz Atkins) and one for multicultural student organizations including the Porter Scholars (Dominique McShan). Program to Support Diverse Faculty Hires - A new program to support diverse faculty hires has been approved. When fully implemented, an allocation of $2,430,000 will support the hiring of new diverse faculty over five years. The program will be initiated in AY 2016-17 and guidelines for applying for the funds have been completed. Oportunidad y el éxito (Opportunity and Success) Student Scholarships - $50,000 has been allocated annually to fund scholarships designed to support the university’s goals of educational excellence, diversity, and opportunity for all of its students. This allocation will be replaced by earnings on a $1,000,000 scholarship endowment to be established through a donor development effort. Eligible students will include diverse members of the Hispanic/ Latino communities in the United States, including those who grew up in Spanish-speaking environments or who have lived, worked or gone to school in Hispanic/Latino communities. Advance Diversity and Inclusion - $1,000,000 from the Foundation has been endowed to fund diversity initiatives that improve the campus climate and foster a culture of inclusive excellence. These initiatives include staff support and materials for diversity education/training; an academic leadership development program for diverse faculty; resources for campus conversations that focus on building unity including broadening the understanding of race, social justice and an exploration of strategies that lead to individual and systemic change. Diversity Training – Diversity Training must be continuous so structures must be put in place to make it happen. To this end, a director of diversity education and training (Marian Vasser) has been appointed. With approval from the dean, her position was transferred from A&S and reclassified to a director level effective July 1, 2016. Working with Brian Buford, she will work to make diversity education and training available to all students, faculty, staff and administrators. The training will include the concepts of privilege; implicit/unconscious bias; micro-aggressions; cultural appropriations; and cultural competency. A Welcome Week session was held for new students, and trainings conducted were conducted by UofL faculty and staff. Consultations by national experts for the President’s Staff, which included a series of diversity training sessions on cultural appropriation, micro-aggression, privilege, and implicit/explicit bias. Diversity training sessions have been held for the President and Leadership Team, Deans, Chairs, and students. Speakers included national diversity trainers Rosalyn Taylor-O’Neal, Dr. Darryl G. Smith and Dr. Jamey Washington in addition to trainings conducted by UofL staff. Identity Center - Fundraising efforts will begin for a new facility to house the Identity Center. Various alternatives will be explored to find the best location. Accountability – An accountability model for deans and department chairs has been developed and is being reviewed for implementation this academic year. There will be a similar model for the president, vice presidents, and other administrators. The metrics are to include the goals of the new CPE diversity and inclusion policy and assessment rubric. On-line campus climate surveys are administered to the university community. The most recent survey for students focused on diversity and inclusion relative to student life and their experiences in the classroom. The Campus Climate and Diversity Survey for Faculty and Staff is a campus-wide assessment of diversity, inclusion, and workplace climate at the University of Louisville. With input from campus constituents, including the Chairs of the Campus Diversity Committees and the Campus Environment Team, the survey was re-envisioned in 2017 to better meet the needs of our community members and to ensure that the university is fulfilling its mission with respect to climate, diversity and inclusion. The survey questions are about faculty and staff perceptions of the various contributors to the campus climate at UofL. The survey is divided into two modules, with one module administered each year. This new cycle allows for the 1) collection of baseline information, 2) creation and implementation of action plans, and 3) reassessment of the themes/modules again after sufficient time for implementation, to measure improvement based on the actions taken. For more information on the new process, please review the Campus Climate and Diversity Survey 2-Year Survey Cycle. 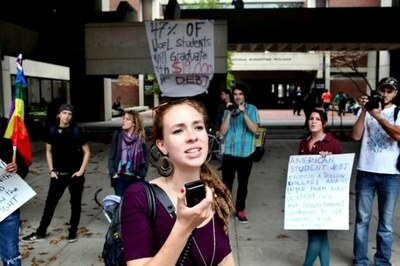 Results of the Campus Climate Survey are posted online. Domestic partner benefits – the University of Louisville was the first state-supported university in Kentucky to adopt domestic partner benefits to qualifying adults. Gender- Neutral restrooms – several restrooms on campus were converted to gender-neutral restrooms in response to the need to be sensitive to members of the campus community who are gender non-conforming or transgender. In addition, gender-neutral restrooms will be a part of all new campus constructions. Cultural Center – a Cultural Center was developed to facilitate and enhance cultural programming and education to the campus community. Hispanic/Latino initiative – an initiative designed to empower Hispanic/Latino(a)s to earn a college degree at the University of Louisville and create an environment in which they can enrich their lives and the community. In 1994, UofL's Commission on the Status of Women (COSW) organized a report which presented the status of women in all employment categories and recommended changes to improve the climate for women and all UofL employees. In 2008-2009, COSW organized an update to the original 1994 report. The members of COSW analyzed and reviewed each of the objectives and recommendations to ascertain whether progress has been made towards outcomes for the identified goals. As part of the methodology for this review, the COSW conducted 10 focus groups and individual interviews with campus leaders. UofL policies, procedures, publications and programs were reviewed. Based on the findings, the Commission on the Status of Women made recommendations regarding representation, recruitment, retention, campus environment and integration of work and family life for women. The Provost has appointed the Vice Provost for Diversity to serve as the point person in addressing these recommendations. In January 2010, the PEACC program (Prevention, Education and Advocacy on Campus and in the Community), conducted a confidential online survey to a random sample of participants to assess campus violence experiences and perceptions at UofL. Survey results will provide important information to enable UofL to create programming and improve safety services to students, staff and faculty. The Black Faculty/Staff Association (BFSA) recently conducted focus groups to assess the attitudes of employees related to compensation, access to information, and climate for staff. In collaboration with the Staff Senate, recommendations were shared with university administrators and changes were made to improve the campus environment for staff at the university. In addition, the Vice Provost for Diversity and International Affairs hosts periodic meetings (formally and informally) with students, faculty and staff from under-represented groups to get their opinions and discuss issues or concerns related to diversity, inclusion and campus climate. TRIO Student Support Services (SSS) is funded by the U.S. Department of Education and the University of Louisville. SSS is committed to helping low-income, first-generation college students and students with disabilities achieve a bachelor’s degree. The program’s mission is to increase retention and graduation rates by offering academic, financial, and personal support. UofL's Cultural Center has for years hosted an Early Arrival Program for under-represented groups to increase rates of academic success and retention. The program helps students transition from high school to college with opportunities for discussions, networking, social activities and strategies for academic success. The Cultural Center Early Arrival Program (EAP) was created to help ease the transition of incoming students of color including African American males, Latino students and Woodford R. Porter Scholars, from high school to college and to teach them the tips and tricks of prospering in their first year of college. Throughout the week students participate in an enriching series of discussions, events and networking activities focused on showing students what it means to be an active and engaged student at the University of Louisville. African American Male Initiative: This track aids AAMI participants in their successful transition to college life at the University of Louisville. Hispanic/Latin@ Initiative: This track helps Hispanic/Latino students gain awareness of and develop skills necessary to ensure academic success through intentional connections with current students, faculty, and staff. Woodford R. Porter Scholarship Program: This track helps scholars gain significant awareness of and develop the skills necessary to ensure academic success through intentional connections with faculty, staff, students and special community guests. C.O.N.E.C.T. (Caring Of New students Experiencing College Transitions) is a peer mentoring program to assist Black students with the transition from high school to college. C.O.N.E.C.T. mentors host monthly workshops and programs organized and facilitated by the peer mentors. All first year students are assigned a peer mentor during summer orientation sessions at Making the Connection. The program has been so successful with Black students that its programs have been expanded to work beyond the first year through “C.O.N.E.C.T. Remix.” The program also hosts a regular discussion group targeting Black females entitled "A Sistah’s Voice" and the African American Recognition Reception to celebrate the academic success of students of color. In 2009-2010, 27.9 percent of the adults (33.0 percent of white adults and only 14.1 percent of black adults) in Metro Louisville had completed at least four years of college, roughly equal to the national average but far below our leading peer cities. The 55K Initiative was organized in 2010 to address this problem by adding 55,000 new degree holders to our community by 2020 - with a corresponding 15K Initiative to eliminate the racial attainment gap by insuring that 15,000 of those new graduates are African Americans. A society of African-American scholarship recipients named in honor of Woodford R. Porter, Sr., a leader in Louisville's civic, business and education communities. He was the first African-American to serve as President of the Louisville School District Board of Education and as Chairman of the University of Louisville's Board of Trustees. The group was formed in 1986 to provide academic and social support to UofL's Porter scholars with the goal of increasing the retention and graduation rates of Porter Scholars. The organization also promotes interaction, enhances leadership opportunities and personal development as well as encourages professional/graduate education. Offered for Woodford R. Porter Scholars who have earned fewer than 60 credit hours and who have been identified as having academic difficulty. This program offers structured advising and academic support and is a collaborative effort involving Porter Scholars Advising and Resources for Academic Exchange (REACH). The School of Interdisciplinary and Graduate Studies (SIGS) is committed to providing financial support for UofL departments and programs to assist in the matriculation and graduation of qualified, underrepresented ethnic minority students. Minority Fellowships - Approximately 12-15 ethnic minority fellowships are awarded annually. Both master’s and doctoral students are eligible for consideration. Doctoral students are funded for two years, with a commitment of support for an additional two years from their department. Master’s students are funded for one year, with the same commitment from their department for an additional year. Students must be enrolled full-time for the duration of their funding and the award includes a stipend, tuition, and health insurance. Visitation Day is an annual program sponsored and conducted by the School of Interdisciplinary and Graduate Studies (SIGS). The program is a day and a half event, in which SIGS hosts prospective graduate students. Historically, Visitation Day has targeted minority students from Historically Black Colleges and Universities, along with minority students from other regional institutions of higher education. The program is a diversity initiative; however, students of all ethnic backgrounds are eligible to apply. 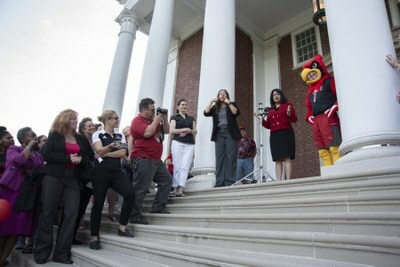 The aim of Visitation Day is to connect academically qualified upper-class undergraduate students who have a strong desire to pursue graduate education with faculty, staff, and current graduate students at the University of Louisville as a way of providing an up close and personal campus visit. Participants of the program attend workshops on admissions and scholarships/financial aid. Overnight hotel accommodations and meals are covered for students who are selected to attend. Graduate Teaching Academy - The Graduate Teaching Academy was created in 2008 and is designed to assist Graduate Teaching Assistants (GTAs) from different disciplines who are assigned some classroom responsibilities as part of their assistantship to develop knowledge, skills, and excellence in classroom teaching. The focus of the academy is on the following topics: critical thinking, development of evaluation rubrics for the classroom, creating a learner-centered syllabus, stimulating active learning, classroom management, test development, and student learning styles and generational differences. Many ethnic minority graduate students participate in the Academy. Professional development workshops - A new initiative within the School of Interdisciplinary and Graduate Studies (SIGS) is the Professional Development program for graduate students, known as PLAN (P – Professional Development, L – Life Skills, A – Academic Development, N – Networking). PLAN aims to provide a series of professional development workshops, which are interdisciplinary in nature, for current graduate students. Some workshops are designed specifically for ethnic minority fellows and SREB scholars. Each fall, SIGS sponsors a “welcome back social” for all ethnic minority graduate students as a way of connecting them to one another and to provide networking with ethnic minority faculty, who are also invited. Other workshop topics include but are not limited to financial planning, mentoring, critical thinking, and job placement. American International Relations Club (AIRC) - serves as a platform for unity in diversity for American and International students from around the world. The primary objective is to bring together students from diverse backgrounds, different countries, several languages, and across cultures into one common thread. Black Student Union (BSU) - designed to motivate Black students to become involved on campus, coordinate activities to strengthen cultural and political awareness, and provide assistance to the development and utilization of resources. Black Law Students Association (BLSA), UofL Chapter - (NBLSA) is a nationwide organization formed to articulate and promote the needs and goals of black law students and effectuates change in the legal community. Black Biomedical Graduate Student Organization (BBGSO) – dedicated to the enhancement of the graduate experience for African-American and minority students in the sciences. BBGSO provides UofL students with professional, educational, and social support. Fighting for Immigrant Rights and Equality (FIRE) – the university’s chapter of a larger statewide student network, FIRE is dedicated to improving the college experience for undocumented and DACA students. Latin American/Hispanic Student Organization (LAHSO) – designed to bring together students across the spectrum of Hispanic/Latino (a) identities, LAHSO hosts campus trainings and cultural events to create a welcoming climate. Shades - the organization for LGBT students of color on campus. Members include individuals of all sexual orientations, gender identities and gender expressions to promote equality and diversity on and off campus. Student African American Brotherhood (SAAB) - purpose is to assist African American males to excel academically, socially, culturally and professionally on campus and in the community. Student National Dental Association, UofL Chapter - SNDA promotes increase in minority enrollment in dental schools, and encourages a viable academic and social environment conducive to the mental and professional wellbeing. Members of the UofL Chapter work within the community with such programs as the YMCA Black Achievers program, and participate in various annual community programs which entail informing and educating children and adults about the importance of good oral hygiene. Transformations – Focused on support and peer education for students who are transgender, gender nonconforming, or questioning gender identity. More details on these and other student organizations. a. Mediating disputes between university employees in conflict in order to facilitate communication of issues/expectations and/or resolve dispute. b. Assisting persons with disabilities with fully participating in university employment and employment opportunities including conducting ADA investigations as requested. c. Listening and advising staff concerning difficulties they are experiencing with respect to work and/or home issues/challenges. d. Conduct construction site visits to ensure compliance with contract provisions relating to nondiscrimination and equal employment opportunity. e. Preparing and presenting employee informational and other seminars to proactively address issues involving respect in the workplace, harassment, employment rights and responsibilities, or other workplace issues which might negatively impact positive employee relations. f. Assisting staff and departments with family and medical leave issues and requests. g. Administering the university commercial driver's license program to ensure we are in compliance with federal law. h. Attend CODRE and Commission on the Status of Women meetings in order to receive and/or convey information. i. Coordinate with the Vice Provost for Diversity and International Affairs on diversity and other initiatives. UofL's Intensive English as a Second Language (IESL) program offers a Communication in English class that is designed to help non-native speakers of English (high-intermediate to advanced proficiency) become more effective communicators in academic, professional and social situations. Class instruction focuses on conversational fluency and strategies for professional interactions. Tuition remission is available for most UofL employees and evening classes are offered. For information, visit the IESL website or call 502-852-5901. UofL is part of the Louisville Latino Education Outreach Project (LLEO), which is aimed at fostering educational and professional success among Latinos. LLEO created a Latino Student Resource Guide to help Latino students and families identify support in the form of scholarships, financial aid, community resources, resources for Dreamers, resources for getting into college, and career development. In Summer 2015, LLEO members participated in the White House Initiative on Educational Excellence for Hispanics. Check out photos here. LLEO is a project of the Kentucky Latino Education Alliance and is funded through the Lumina Foundation. Black Faculty/Staff Association - founded in 2002, the purpose of this organization is to address faculty and staff issues and develop a system of advocacy for Black employees of the University of Louisville. Hispanic Latino Faculty and Staff Association (HLFSA) - advises the President and the University of Louisville community on the nature of issues and needs confronting the Hispanic/Latino Faculty, Staff, and Students in the University; provide assistance in evaluating University programs as they pertain to the Hispanic/Latino community; provide input to University and City of Louisville officials; and assist the Hispanic/Latino community to make the University system more accessible. It began operating in 2011. Faculty and Staff for Human Rights (LGBT employee resource group) - U of L Faculty & Staff for Human Rights (FSHR) is a group of lesbian, gay, bisexual, transgendered, and queer-identified (LGBTQ) employees and allies dedicated to promoting policies and a campus climate that ensure equality for all. In 2016, a new program to support diverse faculty hires was approved by the UofL administration. When fully implemented, an allocation of $2,430,000 will support the hiring of new diverse faculty over five years. The program was initiated in academic year 2016-17 based on guidelines for applying for the funds developed the year before. The Southern Regional Education Board (SREB) is a nonprofit organization that aims to improve education in its 16 member states (including Kentucky). The University of Louisville (UofL) is specifically involved with the SREB-Doctoral Scholars Program, which is committed to increasing faculty diversity. The Doctoral Scholars Program supports a nationwide initiative to produce more minority PhDs and encourages their pursuit of joining the professoriate. The program offers financial support and guidance for doctoral students throughout their studies. UofL participates in SREB’s annual Institute on Teaching and Mentoring, which is the largest gathering of minority doctoral scholars in the country. While at the Institute, doctoral students attend workshops designed to assist in their scholarship and prepare them for success as faculty members. UofL’s participants in the Institute have traditionally included students (SREB doctoral scholars), faculty mentors, and staff, who attend the Institute to recruit minority faculty. Currently, there are five former SREB doctoral scholars who hold faculty positions at UofL. Four SREB doctoral scholars earned their doctorates in May 2010, and there are another 18 students participating as doctoral scholars, dissertation scholars or institutionally funded scholars. We expect four additional SREB students (two doctoral scholars and two institutionally funded scholars) for the 2010-11 academic year. The “institutionally” funded SREBS are a creation of the University of Louisville and the CPE, and they provide programmatic support and travel money for attendance at the Institute for a limited number of qualified students who have funding provided by grants or assistantships elsewhere in the university. Supports small groups of junior faculty, many of which are faculty of color, who want to learn how to be productive scholars and effective teachers. These peer mentoring groups meet regularly to discuss with other junior faculty various topics, including how to be a productive scholar, time-management skills, syllabus design, teaching practice, or the formal and informal standards for success. The University of Louisville Upward Bound Program is a federally funded project that has existed on the UofL Belknap Campus for more than 40 years. The program affords the opportunity for its student participants to excel in the standard pre-college curriculum and ultimately during post-secondary educational endeavors. Upward Bound serves high school students from first generation and/or low income families; first generation families are described as those in which neither parent holds a collegiate bachelor degree; low-income families are those that meet the pre-established guidelines as required by the federal government. The goal of the Upward Bound Program is to increase the rate at which its student participants enroll in and graduate from institutions of post-secondary education. “These rankings affirm what we’ve been saying for years, that students and taxpayers really do get the best educational value — the absolute best bang for their buck — from UofL,” said President James Ramsey. In 2007, the University of Louisville initiated a special program called the Cardinal Covenant in response to rising college costs and the challenge for students from low-income families to fund their education. UofL's Cardinal Covenant is the first program of its kind in the state of Kentucky. This program helps make college attainable for the 22.6% of Kentucky families living at or below 150% of the federal poverty level as published by the U.S. Census Bureau. Cardinal Covenant students are expected to perform community service as a part of their UofL experience. In 2011, the university began offering a special orientation called Cardinal Covenant College so these students can get a head start on the new school year. Housing and Residence Life has been providing special accommodations (private room, private bath) for transgender and transitioning students for several years by special request of the student. During the 2009-2010 academic year, the housing application form was updated so that students now have the option of requesting special housing based on gender identity and expression. Annually, housing staff and resident assistants receive training on transgender identity and how to be a supportive ally. In 2012, the LGBT Center opened the Bayard Rustin Themed Housing Community as a new intentional housing option for students interested in exploring social justice and LGBT identity. Up to 22 students live on the floor and participate in service projects, targeted programming, and a biannual Civil Rights Immersion Experience in Selma, Montgomery, and Birmingham, Alabama. In 2009 after requests from students, the university converted a number of single-stall restrooms to create more gender-neutral options on campus. In 2011 and 2012, a group of doctoral students worked with the LGBT Center to add signage to some restrooms in the College of Education and Human Development that designated them “transgender friendly.” The restrooms remained public, gendered options but with the caveat that people in the building could decide for themselves which restroom fit their gender identity/expression. In 2015, similar restrooms in the School of Public Health and Information Sciences were designated as transgender friendly. UofL's LGBT Center maintains an updated list of the many Gender Inclusive Bathrooms on Campus. It lists such locations on both Belknap campus and HSC. In 2007, UofL became the first Kentucky school to offer health insurance benefits to LGBT couples. In 2008, UofL became the first school in Kentucky to add “gender identity” to its non-discrimination policy. In 2009, UofL became the first school in the country to endow a chair in LGBT studies, held by Dr. Kaila Story. In 2010, UofL established gender-neutral restrooms on both the Belknap and Health Sciences Center campuses. In 2012, UofL launched the Rustin Community, the region’s first LGTBQ and ally-themed housing floor. In 2013, UofL launched the LGBT study abroad program, the first of its kind in the south. Also, in 2014, UofL became the first university in the country to open a staffed LGBT office in a medical school, directed by Stacie Steinbock. The office now leads the nation in LGBT competency training through its eQuality Project, which has been recognized nationally. Up Close & Personal – an interactive and personal shadowing program for individual scholars & parents that gives each participant a “closer look” at the University of Louisville campus and academic programs. Prospective African American students are invited to campus to shadow a pre-selected mentor to class, lunch, and his/her club and/or organization meetings. Students also have the opportunity to meet with an Admissions Counselor for one-on-one consultation. Think College Now! – a half-day college awareness program for freshmen and sophomore African American high school students consisting of financial aid and student life workshops, campus torus and an information fair featuring academic and student service departments. O’YES! (Order Your Educational Steps) – a campus visit program designed for high school, community, & church groups. The O’YES group visit program allows teachers, counselors, youth program coordinators, and other group chaperones and mentors to bring students to campus for an interactive day of events. Group participants engage in conversation with USHR (Undergraduate Students Helping to Recruit) mentors through a student panel, enjoy a complimentary lunch on campus, and meet with Diversity Recruitment representatives for instant admissions and scholarship decisions. Making the Connection – pre-orientation program designed to help beginning African American freshmen connect to each other, as well African American faculty, staff, and administrators. Students are given a special tour of the campus with emphasis placed on student service and multicultural “hot spots.” Ice-breakers, food, and cultural entertainment are provided to help students to make the transition to college prior to the beginning of fall classes. Undergraduate Summer Program in Cardiovascular Research – for students from Under-Represented or Under-Served Populations - The primary objective of this program is to expose undergraduate students from under-represented and under-served populations to cardiovascular research at the University of Louisville. The program is supported by a NIH Short-Term Training Grant from the National Heart Blood and Lung Institute. REACH (Resources for Academic Exchange) – provides academic services and specific support programs to enable students to better prepare and adapt to college life and to enhance their academic skills and performance in college courses. USHR (Undergraduate Students Helping to Recruit) – The USHR Mentoring Program is a two- part program that focuses on the retention of current students while serving as a mentoring organization for prospective African American students. Through USHR, current UofL students are paired with prospective senior high school students in order to assist them in their exploration of educational and leadership opportunities at the University of Louisville. On-line Training Supplement -Preventing Sexual Harassment is an interactive web-based training program that provides an innovative way for employees to gain a basic understanding of what constitutes sexual harassment as well as what is and what is not acceptable in today's environment. The program provides a means to evaluate understanding and answers common questions. The program is used as a point of reference and does not replace training provided by the Affirmative Action/Employee Relations Office. The university’s is a workshop designed to give faculty and staff the tools and resources they need to understand LGBT students and create a welcoming, affirming campus environment for all. Participants attending this fun and informative half-day session are not required to be an expert in sexuality or gender identity/expression to attend, but rather someone who is interested in helping all members of the campus community succeed. Workshop participants receive a comprehensive resource manual and a poster or sticker to display somewhere in the office. Displaying a Safe Zone poster or sticker sends the message to others that you are comfortable talking about LGBT issues, and that you are supportive and willing to listen. Facilitating Difficult Discussions - faculty receive training on strategies to successfully manage difficult topics that can come up in any class. Using Newspapers and Online Media to Enhance Student Learning in a Multicultural World – faculty learn how to integrate course content and current events from diverse perspectives to can foster students’ multicultural awareness and understanding. Inclusive Teaching Circles - small, consistent groups of faculty, lecturers, and GTAs who are dedicated to teaching that is inclusive and equitable for all students. Teaching that is inclusive and equitable takes positive steps to ensure that no student is excluded, marginalized or denigrated by either course design or classroom pedagogy, with special attention to members of historically excluded or marginalized groups. Such educational practice requires reflection on how social identities can impact course design, classroom pedagogy, and instructor-student interactions. This program was originally developed in 2005 by the College of Arts and Sciences Office of Diversity and Outreach (now, Office of International, Diversity, and Outreach Programs). The Cultural Center provides cultural competency and diversity education for faculty and staff of the university. During 2009-2010, the Cultural Center collaborated with and provided training and education for university advisors, unit diversity committees, Provost’s staff, and Student Affairs staff. Every Wednesday of the month the Center collaborates with other units and organizations to host educational workshops for students and employees. The second Wednesday of each month is specifically designed as a faculty colloquium series in which faculty and academic administrators are invited to discuss strategies to increase the success of students from under-represented groups. The Cultural Center in collaboration with the First Year Initiatives Department provides "Difficulty of Difficult Discussions" training for students and staff. This training is designed to engage participants in dialogue about difficult cultural topics, and provide them with tools to successfully navigate these topics with others. Additionally, diversity awareness and training programs are provided within some units and/or upon request. For example, Information Technology employees and all campus police officers are required to participate in diversity training.